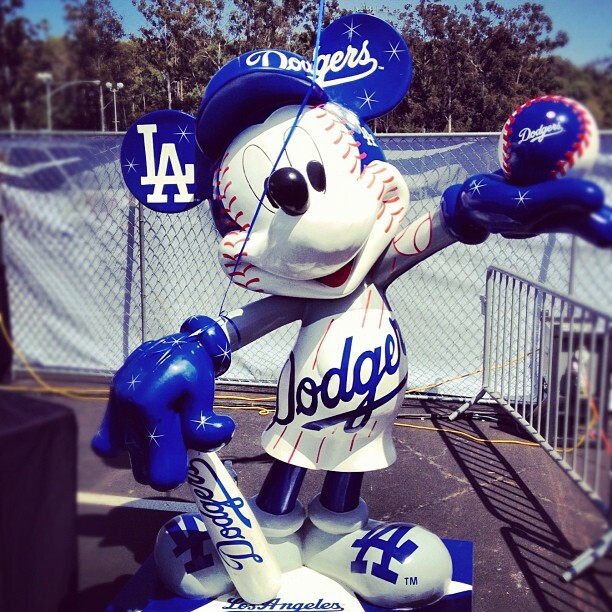 For those of you who could not make it to the Dodgers FanFest this afternoon... well, at least there's twitter. There is nothing like feeling like you're there through the photos of others. 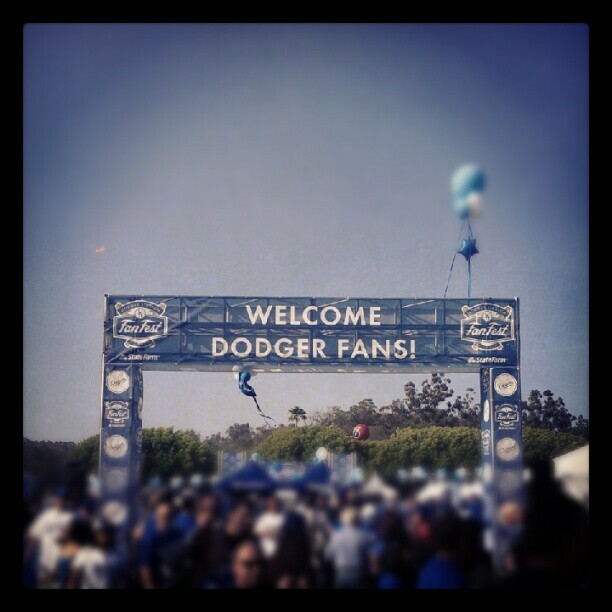 Here is the entrance to FanFest. And who is there to greet you? It's Mickey Mouse dressed up in Blue. The highlight of the afternoon must have been Vin Scully speaking to the Dodgers faithful. Wait... Maybe Matt Kemp was the highlight. Of course, many fans were there for the autographs. 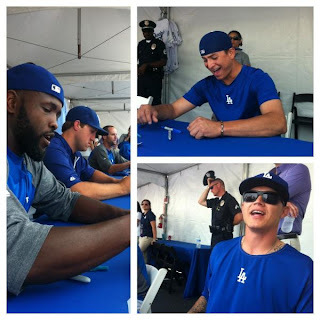 Below, Tony Gwynn Jr., Javy Guerra and Justin Sellers do some signing. I think this fan scored the best one's of all. 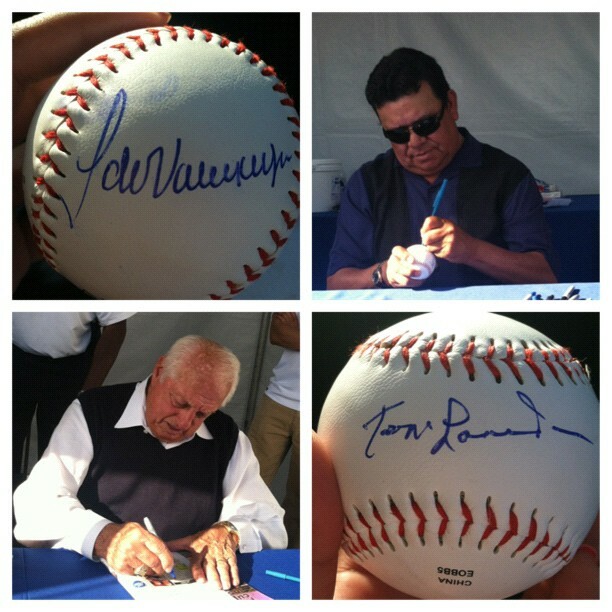 Check out Fernando Valenzuela and Tommy Lasorda below. The injuries just keep coming. Ellis goes on the DL, via a Dodgers press release. 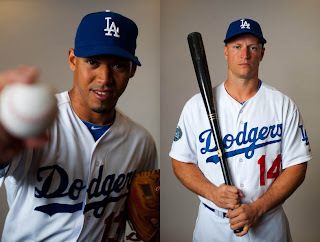 The Los Angeles Dodgers today placed infielder Mark Ellis on the 15-day disabled list with a left leg injury and recalled infielder Ivan De Jesus from Triple-A Albuquerque. 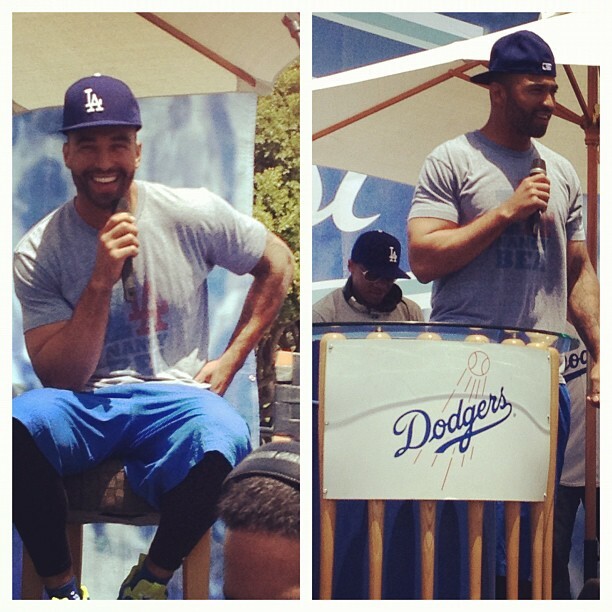 Ellis was batting .273 with two home runs and nine RBI in 37 games this season. De Jesus was hitting .275, including a .311 mark against right-handers (14-for-45), with four doubles, a triple and seven RBI in 13 games with Triple-A Albuquerque. 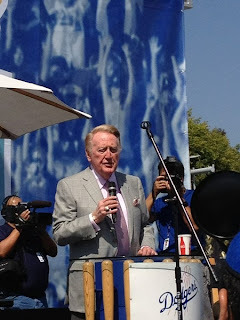 The 25-year-old opened the season on the disabled list after suffering a strained left oblique during the Dodgers’ March 17 Spring Training game against the Giants and batted .261 with a triple and three RBI in 11 Cactus League games prior to his injury. The native of Puerto Rico made his Major League debut last year and is in his eighth professional season after being selected in the second round of the 2005 First-Year Player Draft.